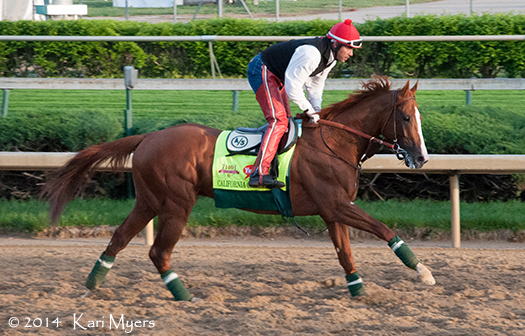 California Chrome, the 5-2 favorite for the Kentucky Derby on Saturday, went out on the muddy Churchill Downs track this morning around 7am. 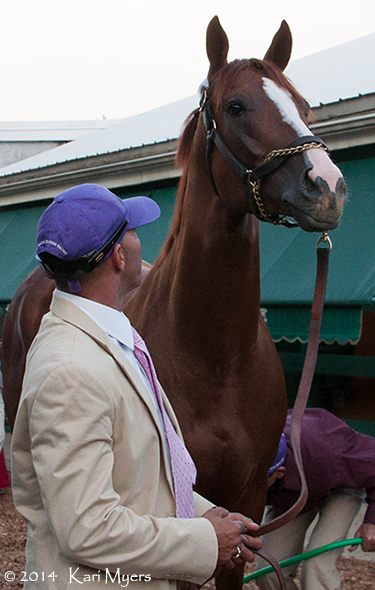 He likes to stand around and take in the scenery, so that’s exactly what they let him do. 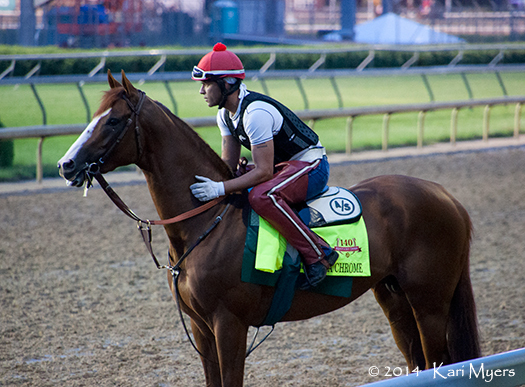 He walked out onto the track at the gap and stood there for awhile, watching other horses run by and staring at the crowd that had quickly gathered to get a glimpse of him. 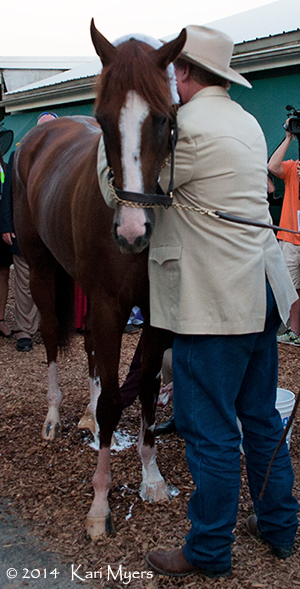 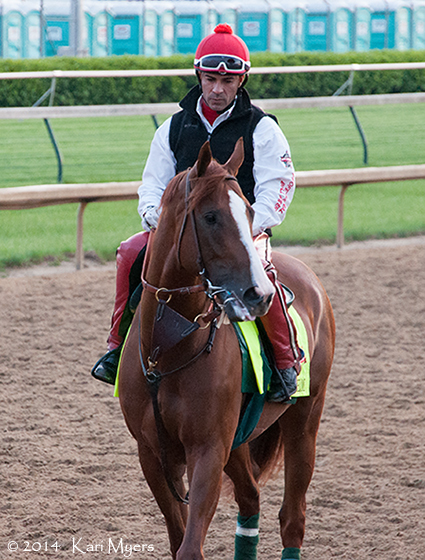 He eventually trotted off–yelling quite a bit at the crowd as he passed–and galloped twice around the track. 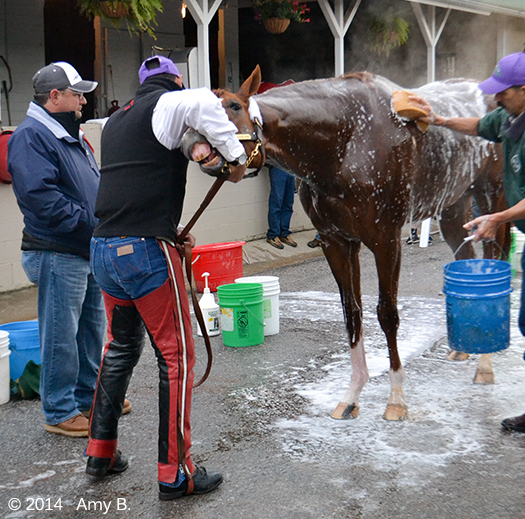 As he headed back to the barn for a bath, he was closely followed by a ton of people. 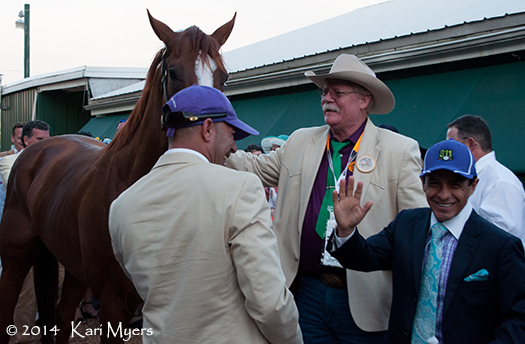 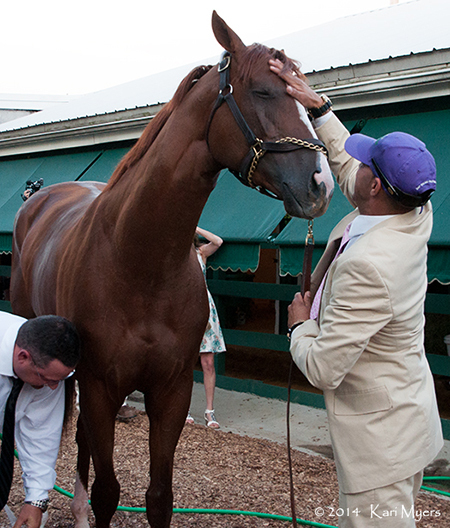 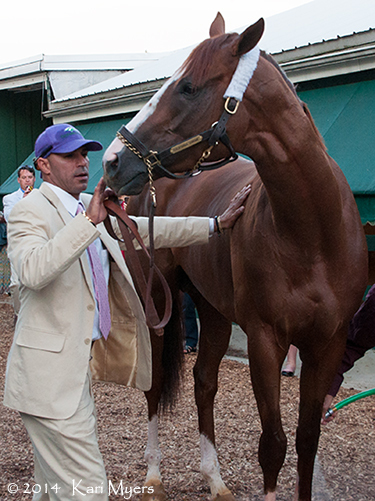 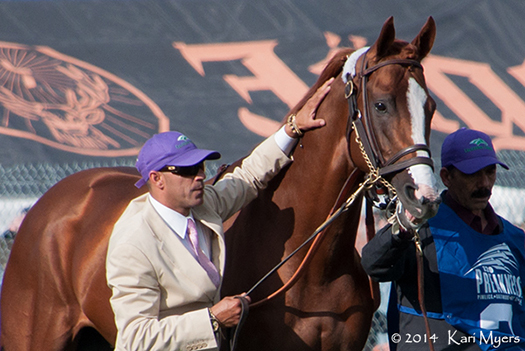 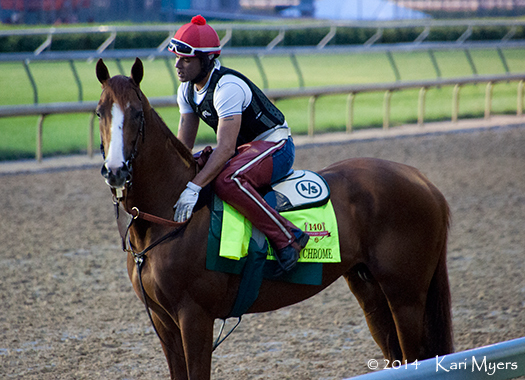 Apr 30, 2014: California Chrome takes in the scenery. 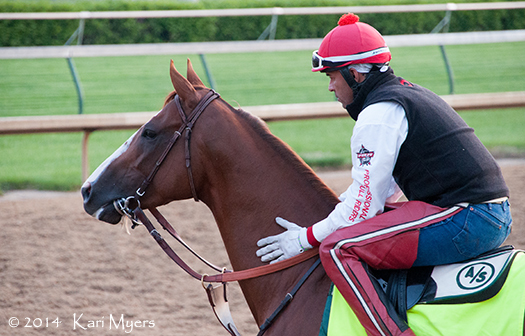 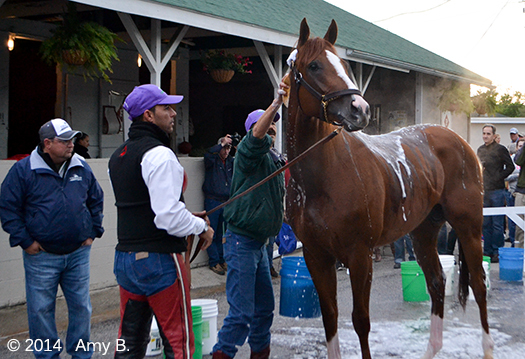 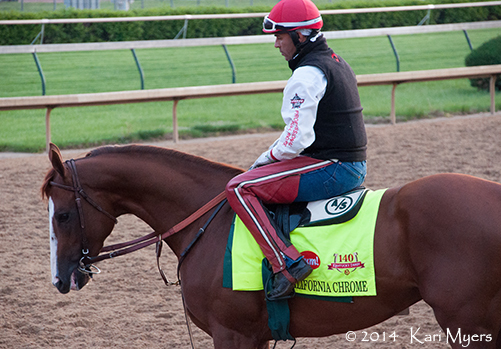 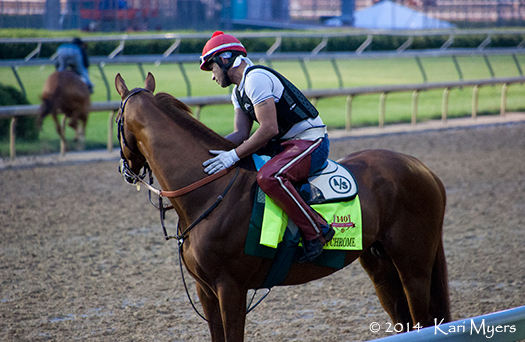 Apr 30, 2014: California Chrome watches other horses running by this morning. 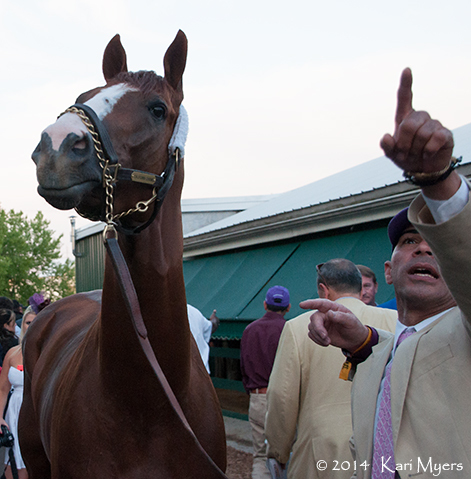 Apr 30, 2014: Why are all of these people staring at me? 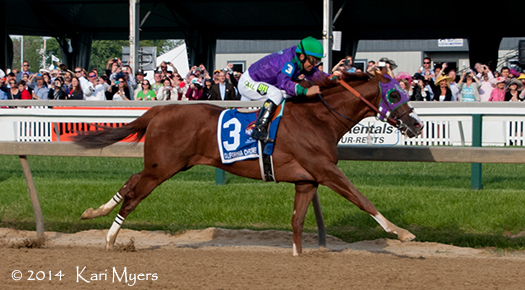 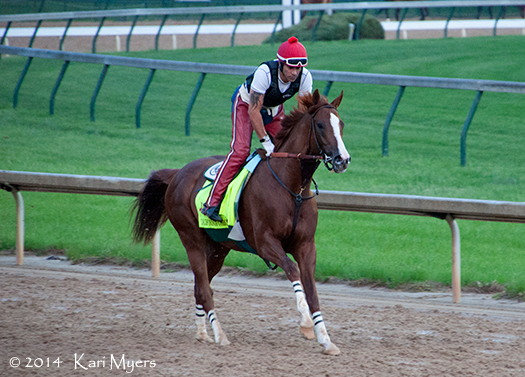 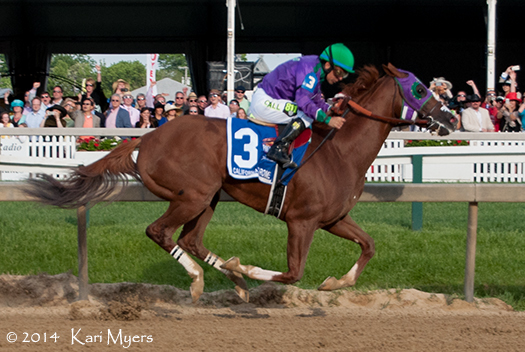 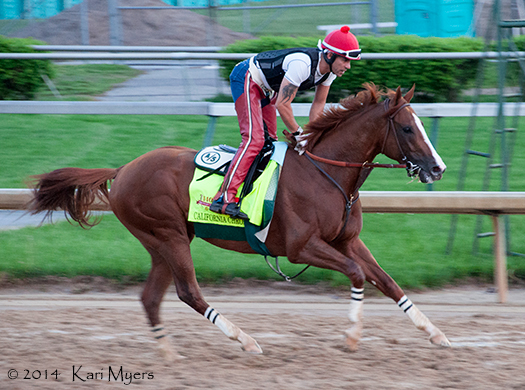 Apr 30, 2014: California Chrome on his first lap around the track this morning.